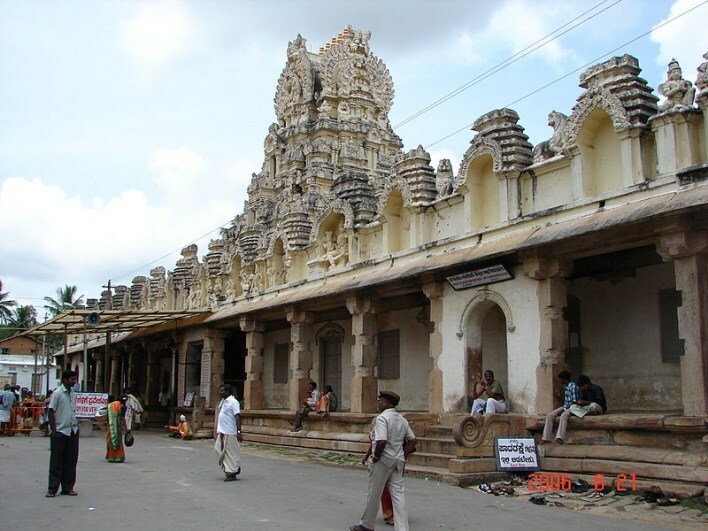 Cheluvanarayana Swamy Temple is situated in Mandya district of Karnataka state in India. The temple, also known as Thirunarayanapura, is built on rocky hills called as Yadugiri or Yadavagiri overlooking the Kaveri valley. Lord Vishnu is worshipped in different forms across the world and Cheluvanarayana Swamy Temple is one of the many temples dedicated to Lord Vishnu. 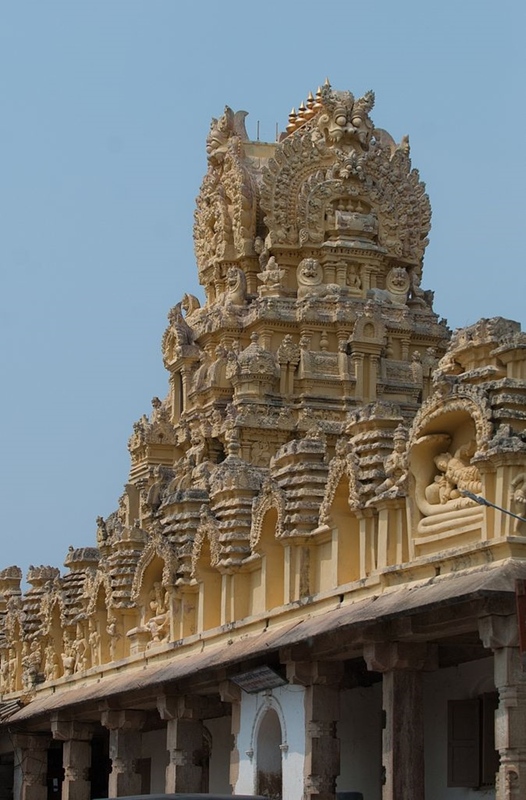 The temple is located about 156 kilometers from Bangalore and about 48 kilometers from Mysore. Cheluvanarayana Swamy Temple is over 1000 years old. The engravings on the temple mention the historical evidence of the temple. On one of the columns of navaranga is a bas relief, of Raja Wodeyar. This name is etched on the base. He was said to be a great devotee of the presiding deity and a constant visitor to the temple. Cheluvanarayana Swamy Temple is a lavishly empowered temple by the Wodeyar dynasty, the Royals of Mysore. The temple has the most valuable collection of jewels given to the lord by Mysore king Raja Wodeyar. Wodeyars gifted two gold crowns knows as Vairamudi or Vajramukuta and Krishnaraja-mudi to the lord. There is another crown, must older than these two crowns gifted to the lord by some unknown person. All the three crowns are currently in the custody of the Government and are brought to the temple on special occasions. Vairamudi Festival is one such occasion when the crowns are taken out and adorned on the deities, post which the deities are taken out for a procession in the town. This festival is attended by kore than 4 lakh people every year. An interesting fact is that the main priest is blindfolded before the crowns are taken out, as it is believed that no one should see the crown until it is adorned by Tirunarayana, the main deity. The presiding deity of this temple is of Lord Vishnu also known as Tirunarayana or Cheluvaraya. Utsavamurthy, the small metal idol, represents the main deity. Sri Chelunarayana Swamy was worshipped in Kritayuga by Lord Dattatreya and got the name of Vedadri. In Tretayga it was called as Narayanadri succeeded by Yasavadri as it was idolized by Balrama and Krishna. In Kalyuga it was idolized by Saint Ramanujacharya. As far as mythology is concerned it is believed that Lord Rama visited this temple. This fact has been mentioned in the ancient texts as well as can be found in the manuscripts kept in the temple. Lord Rama along with his two sons Lav and Kush visited this temple and offered a flower tribute to the temple deities. And hence Cheluvanarayana Swamy was originally called as Ramapriya. As per another legend utsavamurthy, the metal statue symbolizing the chief deity got lost during the Mughal invasion. It was then found by Ramanujacharya from Bibi Nachiyaar, Mohammed Shah’s daughter. She was given this idol as a toy, however rather than playing she was found worshipping it. Mohammed Shah gave the idol back to Ramanujacharya and it was then Bibi Nachiyaar came from Delhi to Melukote in search of it. She collapsed and died the moment she saw the idle. It is believed that her soul in the form of flame united with her idol. As an honor to her devotion, her idol is placed next to the feet of main idol. The temple has more than one Brahmotsavam and follows Pancharatra Agama. Thuni Thengol and Puliyogare are the popular prasadams of the temple. The Temple is a masterwork of workmanship when it comes to its sculptures and pillars. built is Dravidian Style of architecture, this temple structure incorporates a large pond constructed near the foothills, just next to the main steps of the temple. this pond is built of stone and is in the shape of a stepped well. the block-shaped stone steps have arched pillows, for tourists to lean on them and take rest. 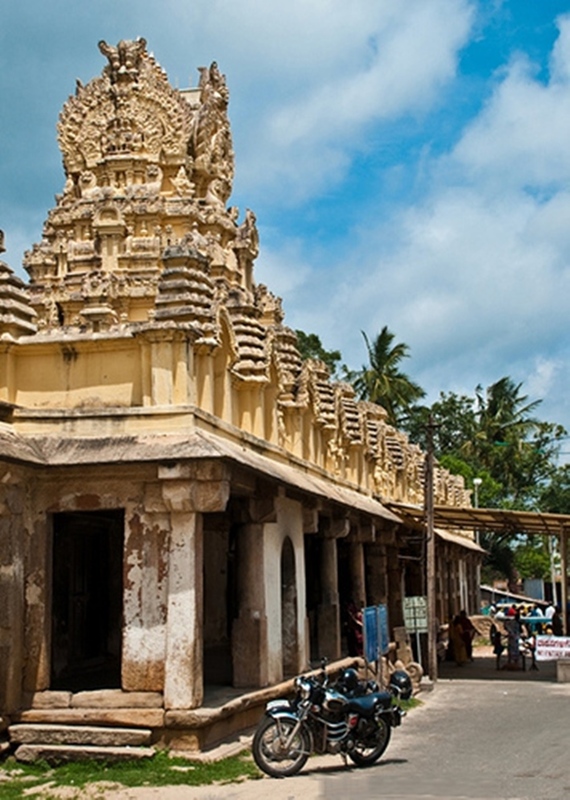 Gopuram or the entrance to the temple adorns a triangular tower. 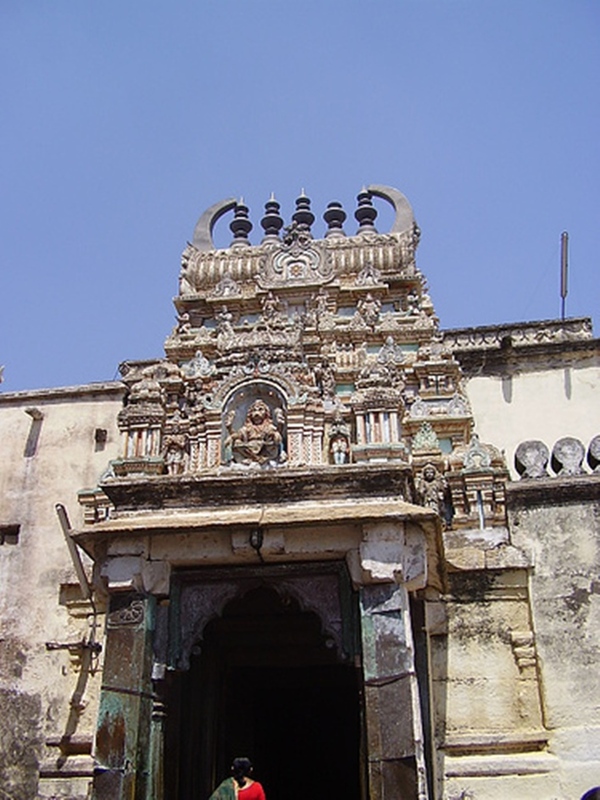 the main entrance is decorated with pillared structures with another Gopuram designed on top of it. outer walls of the entire temple have a pillared corridor, where these pillars have intricately carved sculptures decorated on them. The main sanctum of the temple, where the main deity is kept has a square structure. a pillared corridor is also made in the interior wall section of this main sanctum. small structures resembling like temples adorn the rook if this temple. this is the most important architectural feature of this temple. all these small temples are decorated with beautifully carved sculptures of Hindu deities, lined in all directions. it is believed that these Hindu deities protect this temple from evil spirits. Bangalore International Airport located at a distance of 133 kilometers is the nearest airport to Melkote. Bangalore airport is well connected by all the major domestic and international destinations. Mysore railways station located at a distance of 51 kilometers is the nearest railways head. It is well connected with other major cities of Karnataka as well as prominent metro cities like Mumbai, Delhi and Hyderabad. KRTDC buses ply on a regular basis from both Mysore and Bangalore. You can even take a bus to Tumkur and onwards from Mysore and deboard at Jakkanahalli Cross. Melkote is about 6 km from this point.